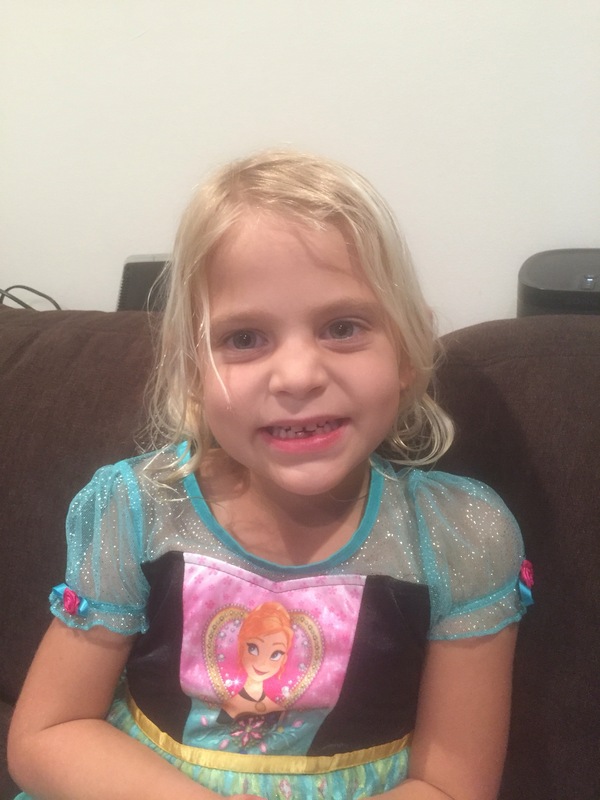 Then the very next day after school she handed me a plastic baggie with tooth number two! 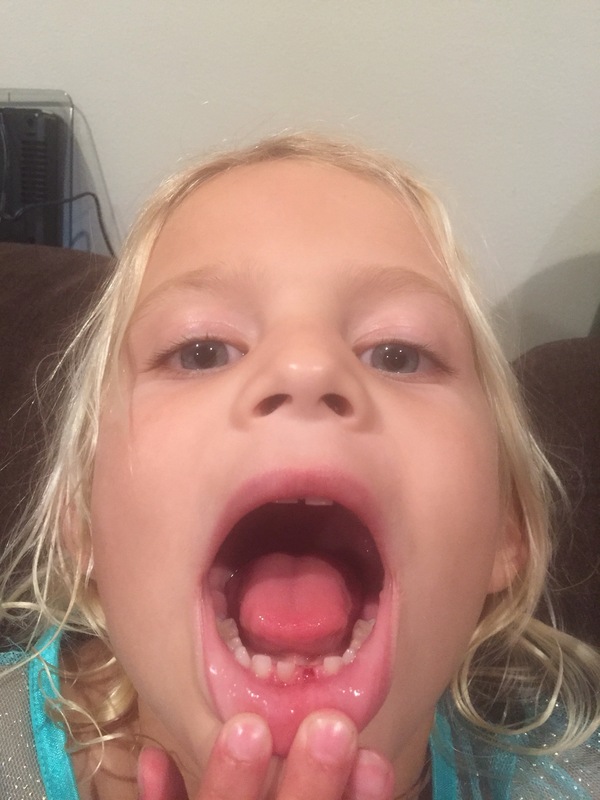 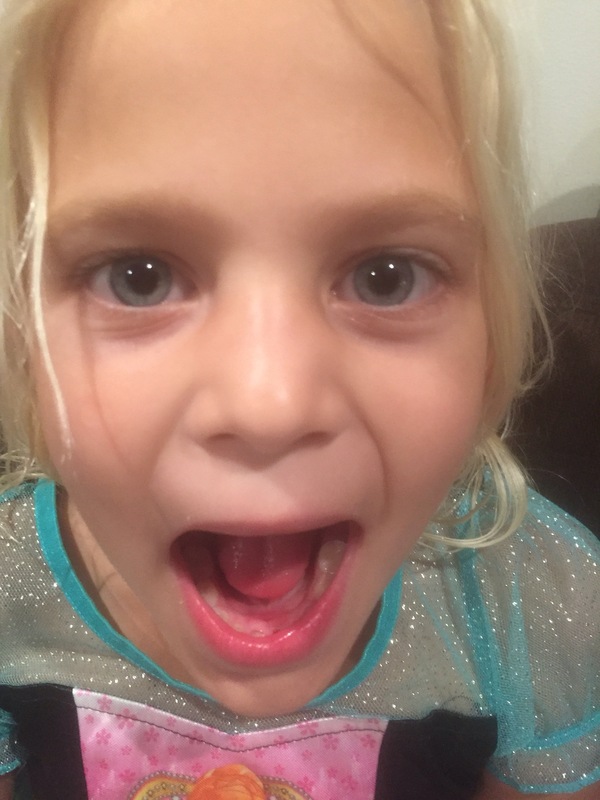 She said she was eating lunch and thought there was a ‘nut’ in it that turned out to be her other bottom tooth! 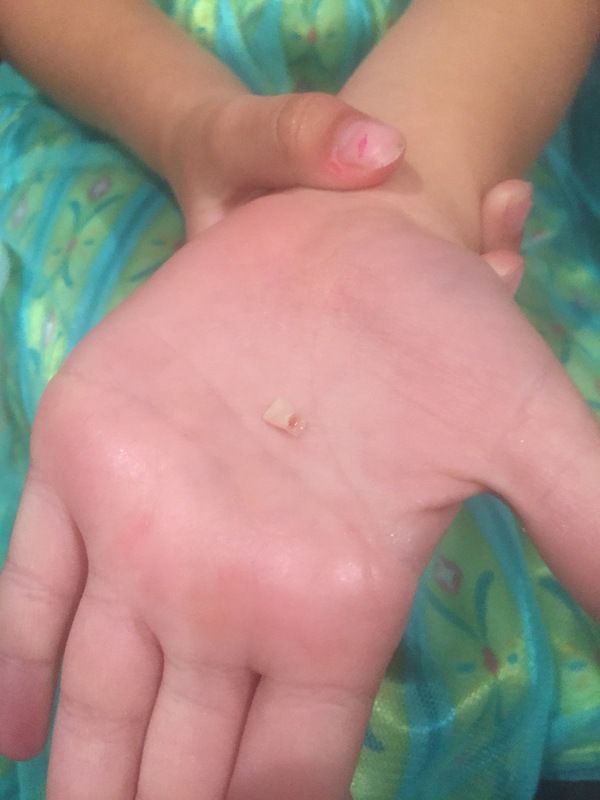 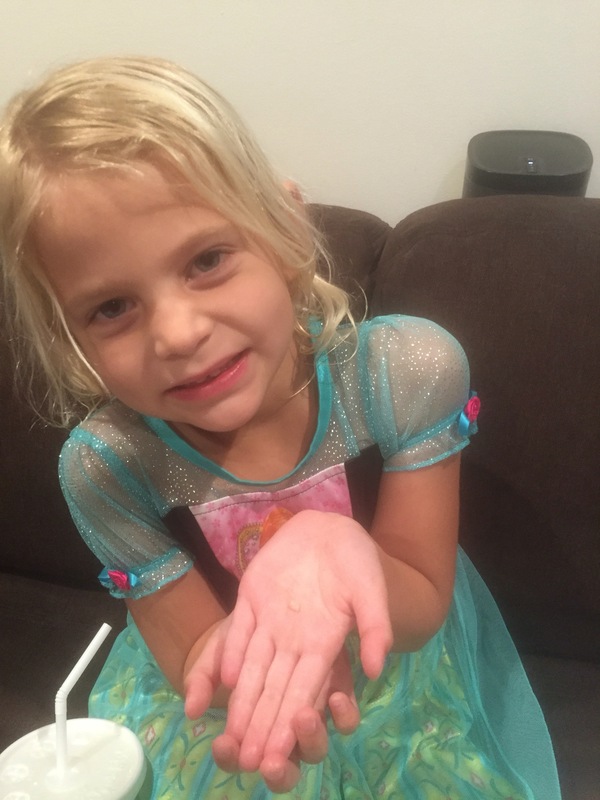 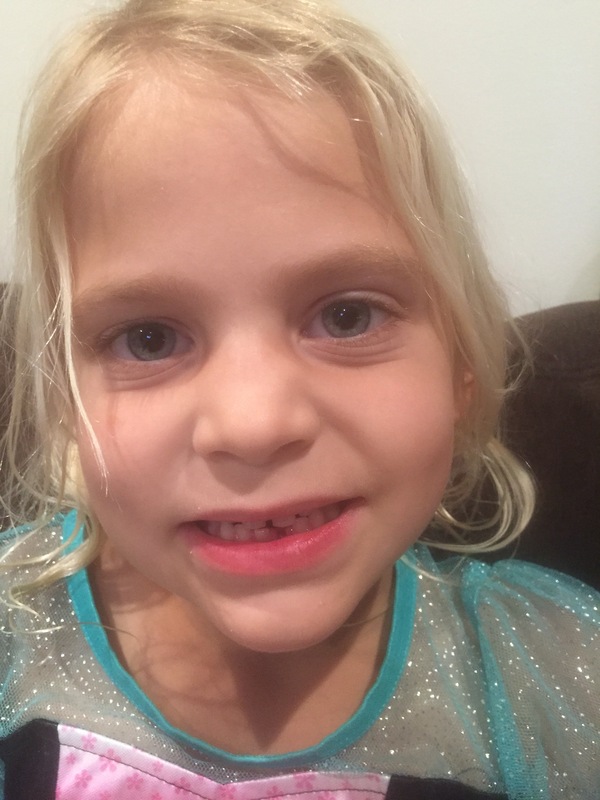 So, tooth fairy got to visit two nights in a row!